Posted on November 28, 2018 at 2:27 pm. Happy Cyber Week! We are entering the busiest shopping time of the year with online vendors providing ‘deals’ and tempting us with offers which seem too good to be true. The convenience of online shopping also makes it easier for attackers to steal your credit card information or even put malware on your computer. Vigilance is important to keep everyone’s personal information private. Did you miss a TechTips? 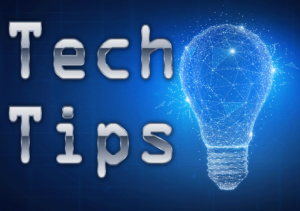 Now you can visit the TechTips archives at www.apsva.us/post/category/techtips/. Also in "Nov. 30, 2018"
TechTips: What’s the Meaning of Two-Factor Authentication? TechTips: What is Cyber Security?